Established in 1993, Dalkar Engineering is a locally owned and operated company, which specialises in all facets of engineering from conception to manufacturing and installation. The highly trained and versatile team at Dalkar Engineering are able to provide quality service in any facet of engineering fabrication. 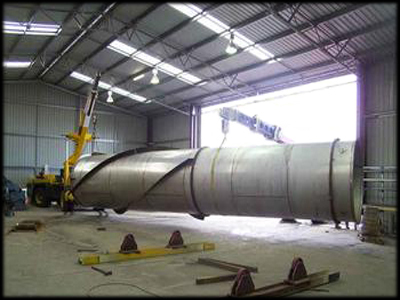 Stainless Steel, aluminium, structural steelwork, tanks and routine maintenance all fall into the daily duties at Dalkar Engineering. With its fully equipped workshop facilities and fleet of service vehicles Dalkar is committed to providing the best level of service and value for money to its clients in Mount Gambier, Australia and overseas.